A device in an internal-combustion engine for mixing air with a fine spray of liquid fuel, a carburettor works on a simple principle. The faster the air moves the lower the static pressure will become, resulting in higher dynamic pressure. 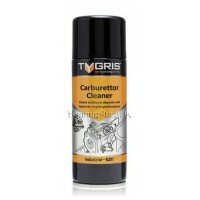 The excessive use of motor vehicles will inevitably result in damage to the carburettor. It is advisable to keep carburettors clean by using a petroleum solvent that should be applied directly to remove excess oil and grease. The Bearing Shop UK's Tygris Carburettor Cleaner is very effective for eliminating gum deposits on the carburettor, pushing its performance to the next level. The Bearing Shop UK also stocks v belts, bearings, v pulley, loctite 577 sealants and a lot more. Contact Us now, for all your engineering products.